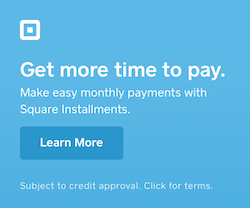 San Marcos Computers LLC is locally owned and operated since 2010. With 30 years experience in computer services the staff at San Marcos Computers offers excellent, personalized customer service for all of your computer repairs, sales and parts needs. As local residents San Marcos Computers takes pride in the service we provide to the San Marcos community and surrounding area. San Marcos Computers is proud to be one of the premier computer repair and sales shops in Central Texas. Our prices are reasonable and our service an exceptional value. San Marcos Computers offers a full range of computer repair and support servicing both PC and Mac computers and laptops. Not only does San Marcos Computers remove viruses, perform tune-ups and recover data, but we also replace laptop screens, repair broken charging jacks and replace hard drives. No matter what the problem, if you have a broken PC computer, laptop or Mac, if it is worth fixing San Marcos Computers can repair it. San Marcos Computers offers free diagnostics so you will always know in advance the price that you will be paying for your computer repair. As a Microsoft Registered Refurbisher, San Marcos Computers offers refurbished computers and laptops at a price you can afford. 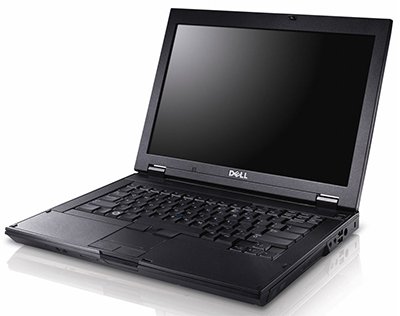 San Marcos Computers carries refurbished desktops and laptops from most major manufacturers such as HP, Dell, Asus, Toshiba, Sony, Apple, Acer, Asus and Gateway. In strict accordance with the Microsoft Registered Refurbisher program our refurbished computers are thoroughly tested and inspected, before Genuine Microsoft software is installed. San Marcos Computers is so confident in the quality of our refurbished computers that we offer a 90 day warranty. Our stock changes rapidly so if we don't have the computer you're looking for today, check back tomorrow and we may just have the perfect computer for you. 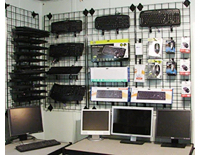 San Marcos Computers provides a large variety of computer parts and accessories for both the professional and the average computer user. If you are a do-it-yourself computer repair person, San Marcos Computers stocks an assortment of parts so you won't have a need to order, pay and wait for delivery. San Marcos Computers offers internal and external hard drives, powers supplies, RAM, cables, cords and much more. The average computer user will be happy to peruse our accessories including mice, keyboards, speakers, USB flash drives, laptop cases, Wi Fi routers, laptop charging cords and more. Visit San Marcos Computers today. San Marcos' locally owned and operated, one stop computer sales, service and parts store.